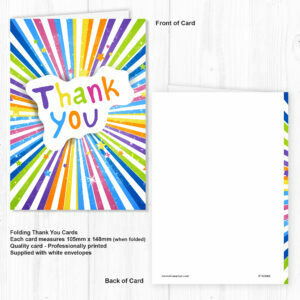 This pack of 10 high quality folding thank you cards have a striking bright design on the front. 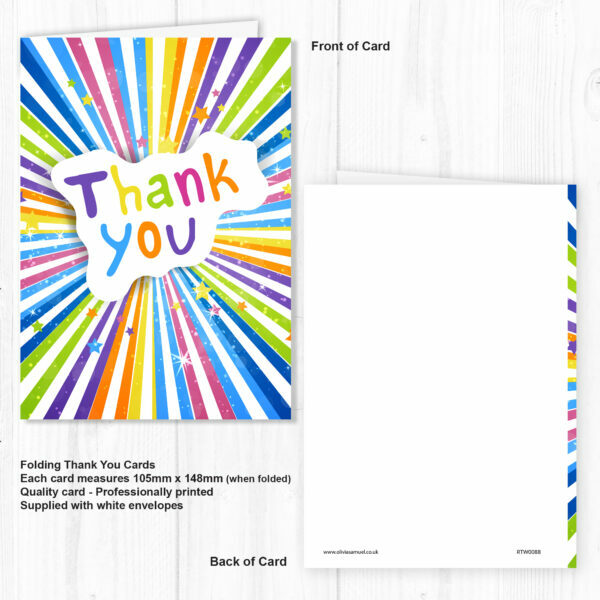 The folding A6 cards are blank inside ready for you to write your own message of thanks. 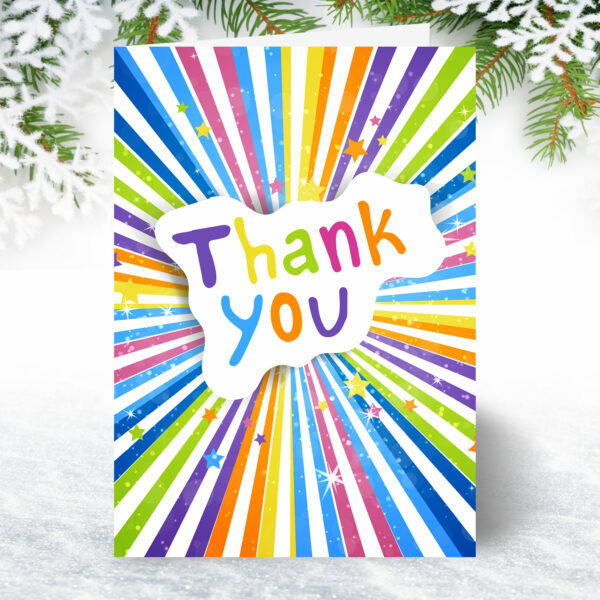 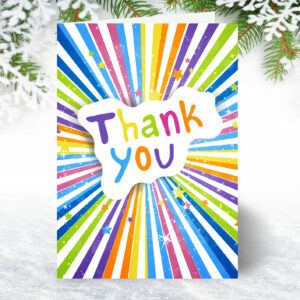 This design is ideal for children to thank friends and relatives for birthday and Christmas presents or as notes of thanks to teachers at the end of term. They are bright and cheerful and are sure to bring a smile to any recipients face. 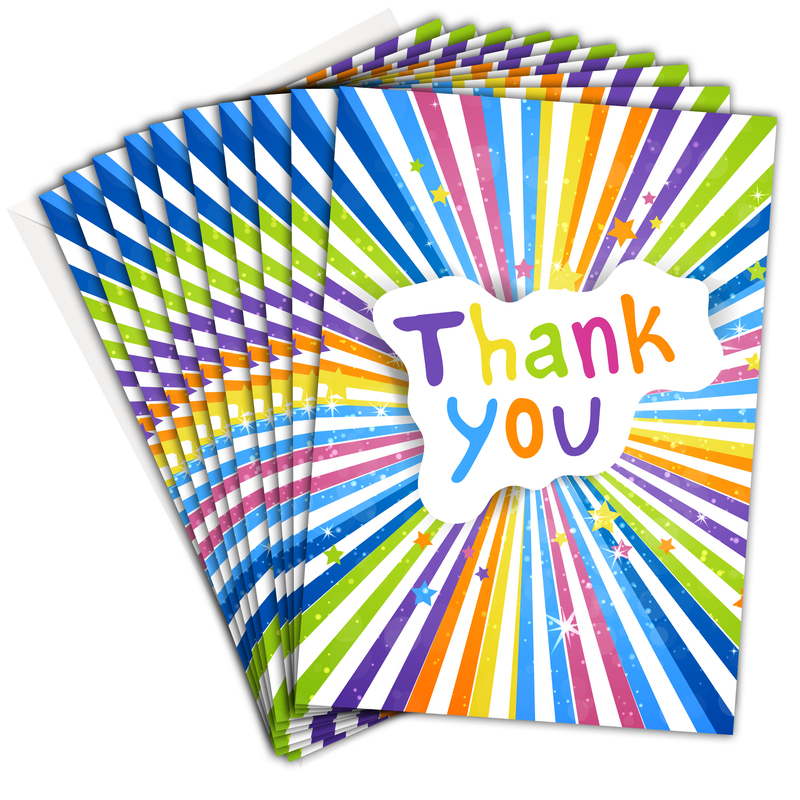 Printed and packaged in the UK by Olivia Samuel.